By William Hersh April 18, 2017 Portland, Ore. I plan to participate in the March for Science in Portland on April 22nd. I did not come to this decision lightly. This was different, for example, from my decision to participate in the Women’s March in January. That was a very easy decision to make based on my political views. But science is more than just politics to me. It is, of course, my livelihood, as I am a faculty at OHSU and one whose work is supported by public funds. Science is also, however, the dispassionate pursuit - to the best of human ability - for discerning truth. As such, I do not want to see science subverted for political or other aims. I also want to be careful that others do not subvert the message of the march itself, which in my view is to inform people about the value of public support and taxpayer-funding of science. I am pleased that many organizations have reached similar decisions. The American Association for the Advancement of Science (AAAS) has endorsed the march, and I agree with their statement that the march is a "nonpartisan set of activities that aim to promote science education and the use of scientific evidence to inform policy." I am pleased that OHSU supports the march as well. In the end, my concerns about the real threats to science outweighed my worries about science being subverted by politics. I consider the threats to science by the current political leadership of the U.S. to be significant. I do not consider science to be a partisan subject. I cannot look at climate change, gun violence or immunization-preventable diseases and state that research about them is driven by an ideological or political agenda. Yes, science is always full of disagreement and is never truly “settled,” but there are bounds of truth and there is always a need to probe even what we believe to be true further. One of the beauties of science and its dispassionate search for answers is that it is self-correcting. So when science gets something wrong, there is a good likelihood that it will be corrected by further research. Of course, I also recognize that the public purse to fund science, or anything else that the government funds, is not unlimited. That is why we have a political process to debate and enact appropriate amounts of taxation and public spending. It is also important to remember that basic research funded by the government is not research that would be funded by private industry. In fact, industry well knows it benefits from the basic research that enables companies to develop profitable products. I also believe that the scientific enterprise in the U.S. is a very efficient and effective allocation of tax dollars. The National Institutes of Health (NIH) budget of about $30 billion is about 1 percent of overall federal spending. Federal research grants not only fund scientific research but also education and training for the next generations of scientists, clinicians and others. NIH funding is mostly awarded through highly competitive funding opportunities that often times only have success rates of 10 to 15 percent. Despite what detractors say, the life of writing grant proposals is not a cushy one. Even beyond the research itself, the money spent on scientific research brings money back to communities. When a faculty member like myself is awarded a grant, that money not only advances research and education, but it creates jobs for people in the local community. In turn, all of those who are funded by the grant turn around and spend money in grocery stores, restaurants, and other local businesses. And of course the reality is that if my institution and state and local governments were not funded by this money, it would end up in other states. OHSU commissioned a study about five years ago showing a multiplier effect in terms of money spent on the institution having an impact back on the local economy. Although this march is about science generally, I hope that some other points specific to biomedical research come across. As pointed out by OHSU leadership, an abrupt cut in funding, such as the 18 percent cut to NIH proposed by the Trump Administration, will have outsized impact due to the fact that most NIH grants are multi-year awards. This means that only a portion of a given year’s funding goes to new projects. An abrupt cut will mean that for the first year of the big cuts, very few new grants would be able to be awarded. Given how competitive the environment for funding already is, we stand to lose the momentum of both established and emerging scientists. I also hope that another point that comes out is the misguided plan to, in essence, eliminate the Agency for Healthcare Research & Quality (AHRQ). While it will ostensibly be folded into NIH (AHRQ currently exists within the Department of Health and Human Services but outside NIH), the claim that its research is duplicated by other NIH entities is simply not true. AHRQ performs critical and novel research in under-researched areas of health and health care, such as patient safety, health care quality and evidence-based medicine. As with other basic research, industry may benefit and even develop products from this research, the basic research is too far removed from their product cycle for them to want to fund it. As this is not the first time that efforts have been made to de-fund AHRQ, I have written about the value of AHRQ before. I look forward to participating in the March for Science and advocating for the benefits of scientific research and its funding by the federal government. I hope the outpouring of support will education the downside to neglecting basic scientific research and the importance of training new scientists. 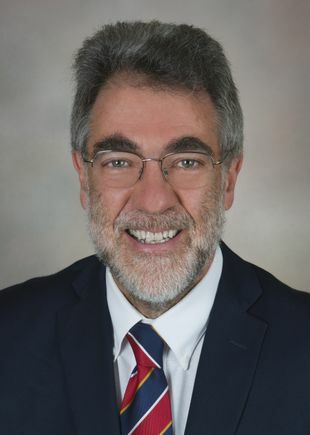 William Hersh, M.D., is professor and chair of the Department of Medical Informatics & Clinical Epidemiology in the OHSU School of Medicine. This viewpoint was first published April 16 in Dr. Hersh’s blog, Informatics Professor.